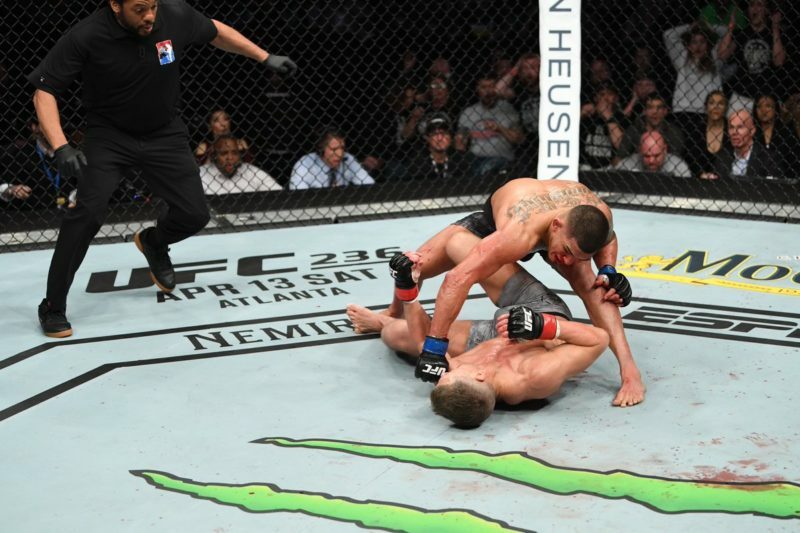 With another month of MMA in the books, let’s take a look back at some of the best submissions from the MMA world. Vote below to let us know who had the best submission of April 2019. We start off in Ukraine where a preliminary card matchup at World Warrior Fighting Championships gave us the rare and entertaining Banana Split submission. Jack Hermansson wasted no time getting his sixth submission victory. 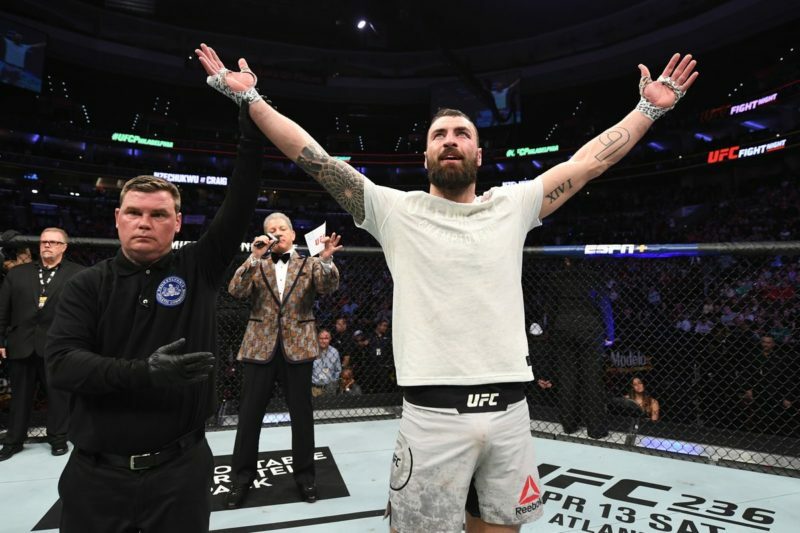 In only 49 seconds “The Joker” trapped Jiu-Jitsu black belt and former WSOF Champion David Branch in an arm-in guillotine, forcing Branch to tap for the first time since 2011 and earning Hermansson a Performance of the Night Bonus. UFC newcomer Kennedy Nzechukwu had a rough debut. 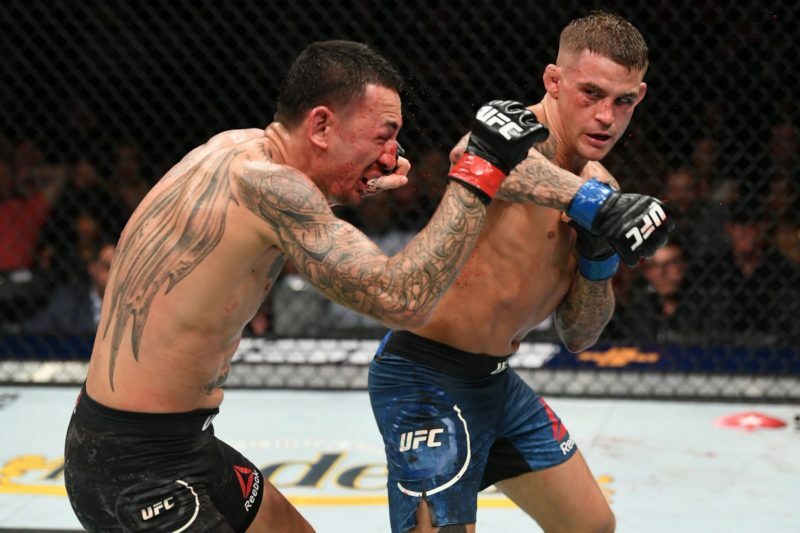 Despite committing multiple fouls including eye pokes and cage grabs, he was up on the cards leading into the third round. However, Paul Craig displayed once again that he is a submission threat at any time. For the second time in three fights, Craig came away with a late triangle choke and handed Nzechukwu his first MMA loss. MMA veteran Shinya Aoki added to his already legendary career when he avenged his 2016 loss to Eduard Folayang in stunning fashion. After only two minutes, Aoki was able to wrap up Folayang in an arm-in triangle choke, 30 seconds later Folayang was forced to tap with 2:34 left in the first round, as Aoki regained his lightweight title. Demetrious Johnson’s debut in ONE Championship didn’t go as expected. In a quarterfinal bout in the Flyweight Grand Prix, “Mighty Mouse” was matchup up with +1140 underdog Yuya Wakamatsu in what should’ve been an easy win for Johnson. Instead, Wakamatsu turned in a competitive first round and hung in, and after fellow UFC alum Eddie Alvarez’s shocking defeat earlier that night, everyone began to wonder if another upset was in the making. However, Johnson found his groove early in round 2 and showed us why he is the best flyweight in the world, submitting Wakamatsu with a brutal guillotine.